When Apple launched the fourth edition of its highly-anticipated Watch wearable in September, a new update was the ability to track a yoga workout within its native fitness-recording app. While yoga has been around for literally thousands of years, it’s only fairly recently that the practice has become ubiquitous among the masses. You’d have to be a real hermit to have never heard of yoga, whether you’re into health and wellness, or not. So considering how popular yoga is these days, it’s quite surprising that it took Apple three years to add it as a dedicated, trackable option on what has become one of the world’s best-selling smartwatches. The recognition by one of the world’s biggest tech firms that yoga should be up there with “cycle” or “run” as a trackable workout is merely a testament to how much the discipline – despite being modified from how it was thousands of years ago – has survived and is still picking up momentum. So much so that in recent years, yoga has evolved to meet the needs of the modern world and in doing so, has become the new Starbucks. Not only has its accessibility meant health professionals can recommend the practice for fitness and “mindfulness” to just about anyone, but it’s also become a huge marketing opportunity for industries around the world. According to yogi, mystic, and founder of Isha Foundation, Sadhguru J. Vasudev, not only is yoga a process of wellbeing like nothing else, but people, both young and old, are stressed like never before, and it has become a vehicle that they can employ to feel better. 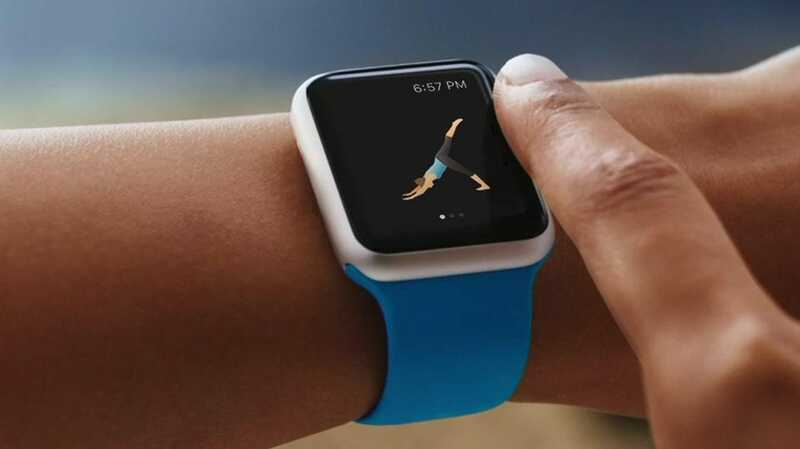 Separately, yoga and wearable technology like the Apple Watch are both very different things. But Vasudev highlights how their coming together has always been inevitable. While yoga is more abundant, the masses are becoming just as increasingly health conscious as they are tech savvy, hence the proliferation of gadgets like the Apple Watch, which advocates both these spheres. However, there’s one major flaw in this matrimony. The mere idea of using technology such as a heart-rate monitor in yoga is majorly frowned upon in the yoga world. Why? Because the premise of modern-day practice is built around “disconnecting”. Nowadays, people use yoga as a means to escape the technology that dominates their lives. For some, their one hour of daily yoga is the only time they can truly switch off and not be overwhelmed by data, and so using a wrist worn computer that employs sensors to tell you how many calories you’ve burned during this time is not in the interest of most yoga practitioners.